In between commissions I was able to make a knife that I’ve wanted to make for a while now. It’s a sort of interpertation of an Anglo-Saxon broken back seax. It’s more stubby than lots examples I’ve seen, but there are tons of these things still in the dirt, and it wouldn’t surprise me if there was on just like this in the ground somewhere. The blade is 3 3/4″ of 1075 and has an auto-hamon. 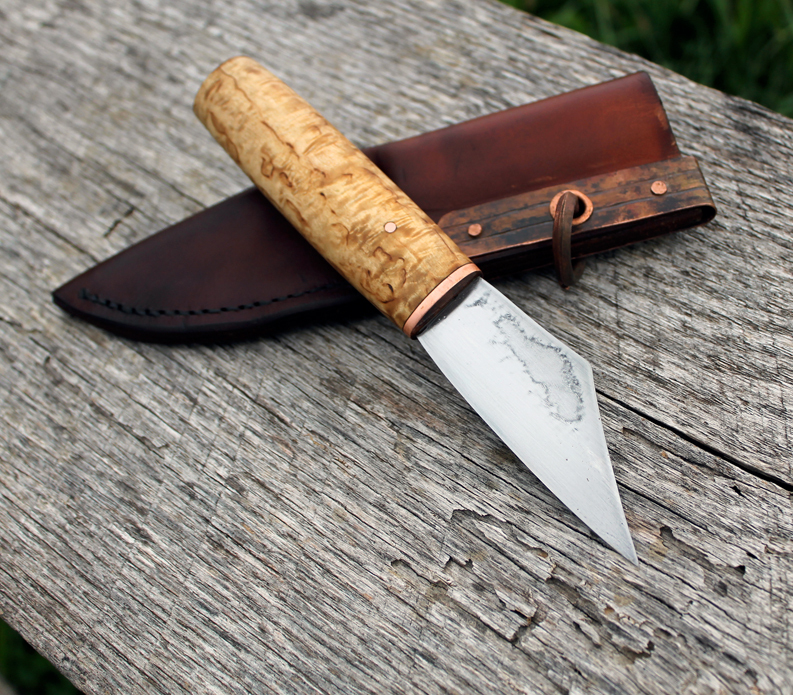 The handle is Massur Birch and copper. 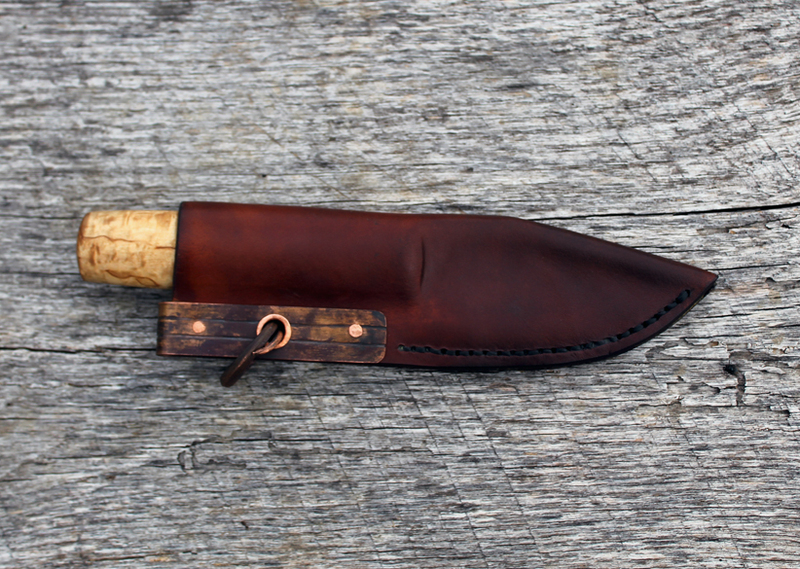 The sheath is beeswax coated leather with copper hardware. 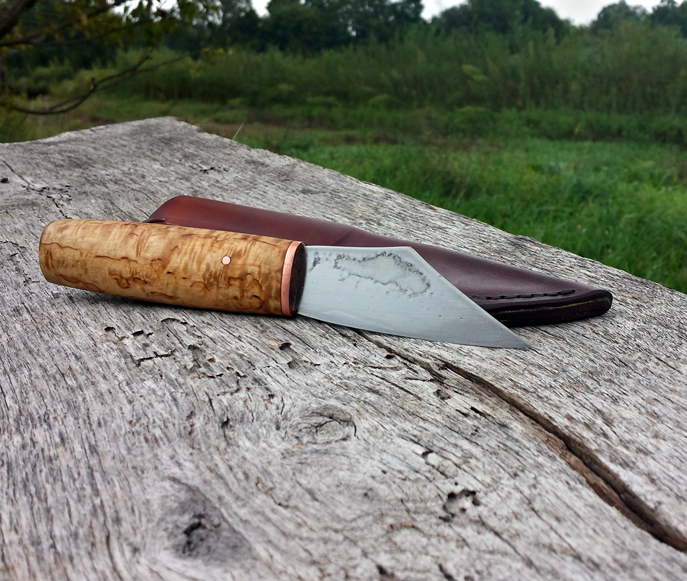 If you’re interested in more info or to purchase this knife just visit my etsy site here.